Killick Millard (as he was known) was the son of Rev. C. S. Millard, Rector of Costock, Notts. Educated at Trent College and Edinburgh University, Killick Millard graduated M.B., C.M. in 1892, continuing to M.D. in 1896 and a D.Sc. in public health in 1898. His first appointment was as resident medical officer at the Birmingham Fever Hospital during the severe epidemic of smallpox in 1893 to 1894, and he chose the subject of smallpox for his M.D. thesis. In 1896 he was promoted to be Medical Superintendent of the hospital, and held the position until 1899, when he became Medical Officer of Health for Burton-on-Trent. In 1901 he was appointed Medical Officer of Health for Leicester, and he was a very high profile holder of the post, not just locally but nationally, until his retirement in 1935. Millard was noted for being willing to champion unpopular causes when he believed that orthodox medical wisdom was wrong. Early in the career he carried out a statistical inquiry from the Birmingham Fever Hospital into the value of then universal hospital isolation of scarlet fever patients in reducing mortality and prevalence of the disease in the population. He argued that the statistics demonstrated the uselessness of this practice, and read a paper before the Society of Medical Officers of Health embodying the results of his inquiry, published as The Hospital Isolation of Scarlet Fever: An Appeal to Statistics (1901): though strongly criticised at the time his views and recommended practice later came to be fairly generally accepted. It was on the question of vaccination and smallpox that Killick Millard made his most distinctive stand. Controversially, the Borough of Leicester had openly abandoned the national policy of infant vaccination 15 years before he went there as MOH, yet soon after his arrival there were several outbreaks of smallpox which these were controlled without difficulty. It was because of this experience that Millard felt compelled to modify his previously orthodox views about vaccination. He expounded his theory in a course of lectures given under the auspices of the Chadwick Trust, and these he afterwards published in book form in 1914 under the title The Vaccination Question in the Light of Modern Experience. He was convinced of the value of vaccination in protecting infants, and gave a practical demonstration of his faith in the power of vaccination by taking his wife and two young children -all recently vaccinated-into the smallpox hospital and photographing them by the bedside of a severely diseased patient. He was, however, against compulsory infant vaccination, and against mass vaccination as a means to control outbreaks of the disease, arguing that the evidence showed that the vaccination of all contacts was sufficient. Much later he was of course prominent among those who welcomed the abandonment of compulsory vaccination when the National Health Service Act came into force in 1948. He was also very active in the growing debate about population control, publishing population and Birth Control in 1917. An even more controversial interest, indeed campaign, of Millard in his later years was the promotion of voluntary euthanasia. Millard and the Leicester surgeon Charles Bond (Lit. and Phil. President for 1935-36), were leading British pioneer in this, helping to form the Voluntary Euthanasia Legalisation Society in 1935 with Millard as its first Honorary Secretary. The Society attracted the support of a number of distinguished churchmen and members of the medical profession, and promoted a Bill seeking to permit a doctor under safeguards to bring about the easy death for incurable persons suffering from prolonged agony, and who wished their sufferings to end. This was introduced in the House of Lords in 1936, but after a full debate it failed to pass its Second Reading. Killick Millard was regarded by his contemporaries as a man of the highest principles, and he received many professional honours during the course of his life. 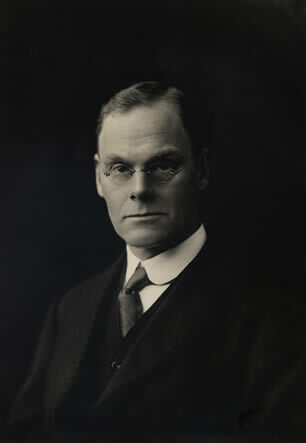 His national leadership positions included those of Chairman of the Leicester and Rutland Division of the British Medical Association (1923-24), Vice-President of the BMA’s Public Health Section in 1909 and 1932, President of the Society of Medical Officers of Health, also in 1932, giving a Presidential Address on the subject of voluntary euthanasia. In Leicester in addition to serving as President of the Lit. and Phil. (which he joined in 1906) in 1917-18, he was also at various times the president of many other local organisations, including the Leicester Medical Society, the Leicester Rotary Club, the Leicester Temperance Society and the Leicester Branch of the Band of Hope Union. He had a wide range of leisure interests, including gardening (creating notable gardens in the grounds of the Leicester Fever Hospital and then of his house The Gilroes, Glenfield), bee-keeping, ornithology and motoring. Shortly before his retirement, at the age of 62 he took up flying and obtained his pilot’s licence, while for his 80th birthday he bought his first motor-cycle, his only concession to his age and inexperience being that he decided to display an “L” plate on it even though this was not required since in those days his car driving licence covered all motor cycles as well. He then set off on a tour to visit a daughter in Scotland on it! His son, Dr Maurice Millard, was President of the Lit & Phil for 1967-68. Presidential Address: Population and Birth Control: being the Presidential Address delivered before the Leicester Literary and Philosophical Society, October 8th, 1917. (Leicester, 1917).